Take your diners burger experience to the next level with this on trend truffle burger. The addition of intensely flavoured black truffle oil adds an aromatic dimension when added to HELLMANN'S Aioli and accompanies this burger perfectly. Roast mushrooms in oven with oil, salt and pepper for 20 minutes. Combine HELLMANN'S Aioli and truffle oil together in a bowl. 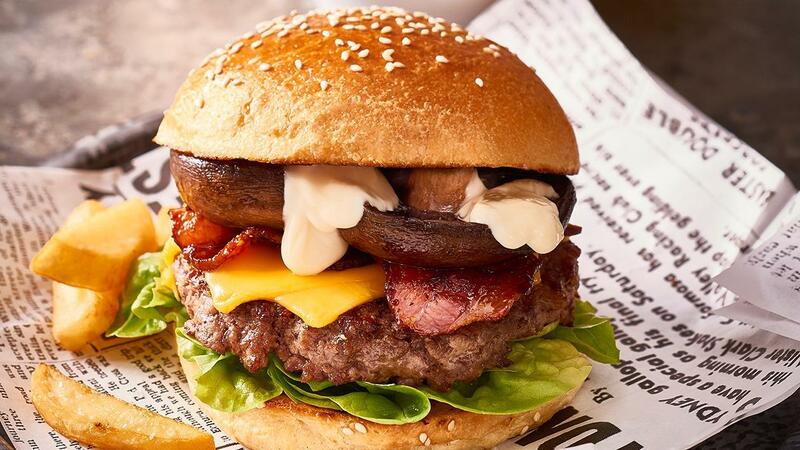 Grill the buns; place cos lettuce on top of bottom bun, then beef patty with cheese, bacon, roast mushroom and truffle mayonnaise, and bun. Serve with beer battered chips. The truffle flavour works well on burgers due to high fat and full flavor. Use a good quality cut like chuck for your mince with a good amount of fat for a full flavoured, tender patty.